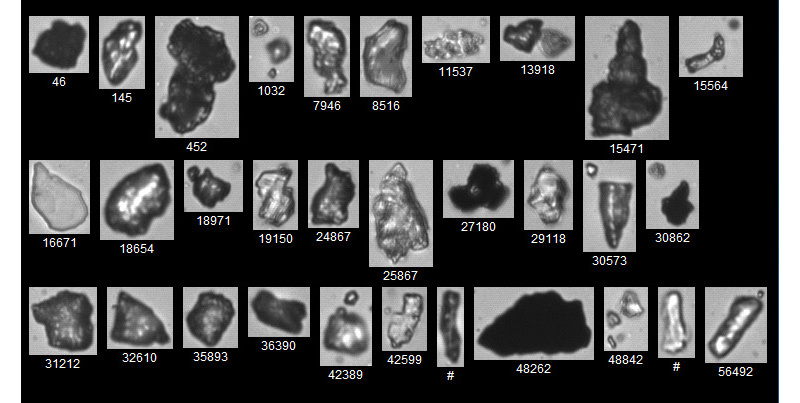 With industry-leading image quality combined with automated statistical pattern recognition software, the FlowCAM dynamic imaging particle analysis system is an important tool for detecting, characterizing, and quantifying particles in a variety of oil and gas applications. Drilling fluid particle concentration and particle size distribution are critical to the performance of the entire solids control process – from the shakers all the way through to the centrifuges. This can have a direct impact on the efficiency of drilling operations. With the FlowCAM you can quickly monitor particle size and particle concentration of drilling fluids. 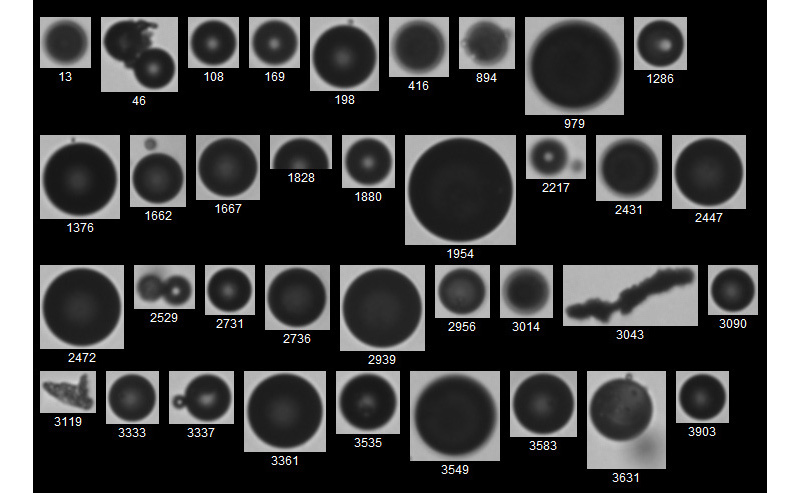 Plus you capture images of each particle in real-time. So you can actually see what type of material is present in the drilling fluid, including the amount of emulsions present. The size and shape of frac proppants has a direct effect on the production performance of a well because they can effect its conductivity. 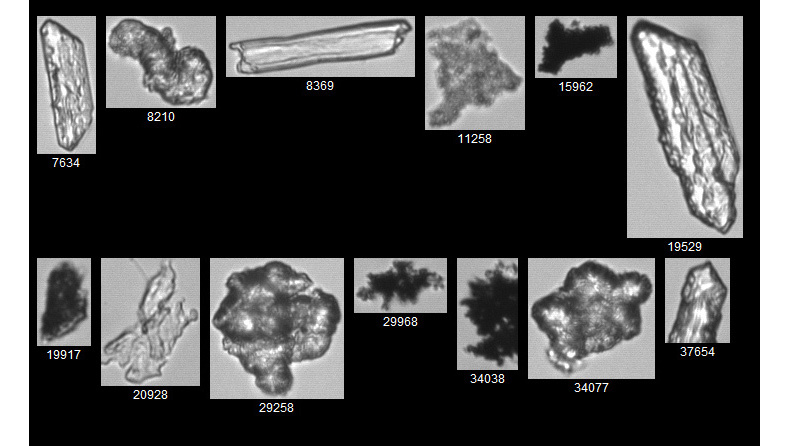 Being able to analyze particle shape easily can help you better control the quality of your frac proppants. FlowCAM technology allows you to quickly calculate the exact shape of your frac proppants, so you can ensure the performance of your well. Measuring oil and total suspended solids (TSS) in produced water is important from both a regulatory perspective, and an efficiency of water treatment. Standard methods, such as the EPA 1664 method, are time consuming and require a trained technician. Other technologies, such as UV or IR, do not give you a total solution of both oil and TSS. Laser based solutions provide a single particle count without differentiating between oil droplets, agglomerates, and solids. The FlowCAM provides a single solution so you can isolate and quantify oil droplets and solids in produced water quickly and easily. Many hydraulic fluids, fuels, and lube oils need to be monitored for cleanliness according to standards such as ISO 4406 or NAS 1638. 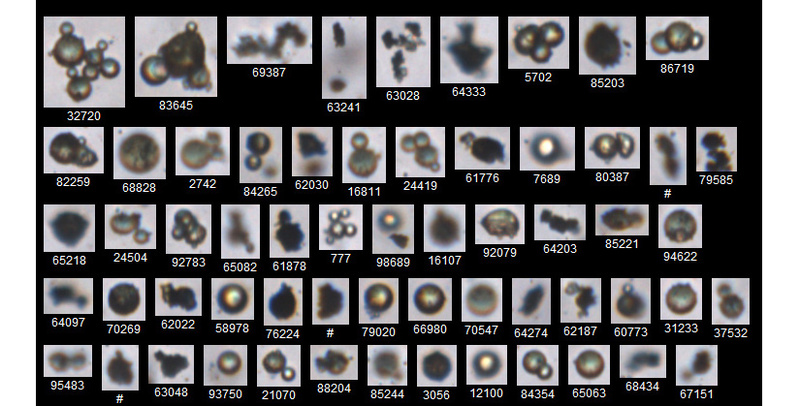 While the available laser-based solutions are good at counting particles, they cannot tell the difference between “dust” particles and water droplets. 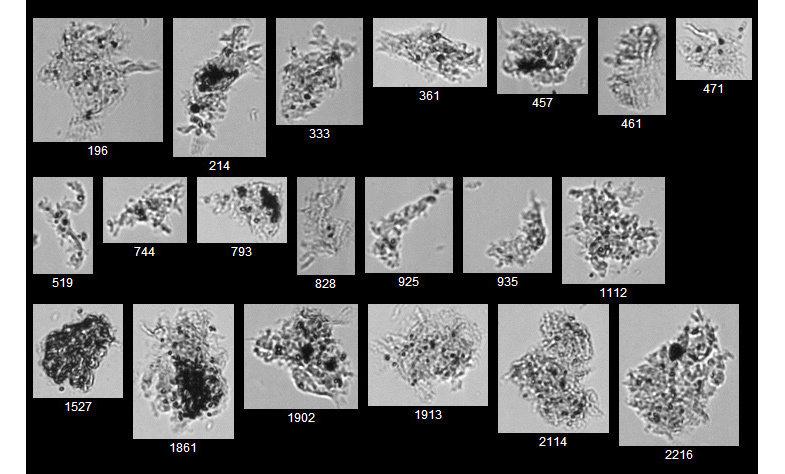 The FlowCAM can differentiate between particles and droplets, plus captures particle images, so you can get an indication of the particle types present (solids, fibers, or organics). Then report particle counts and concentrations by size range according to the specified standard.